The Green Goddess was never a military fire vehicle. The British army did operate them in red in Army Fire Service. Green Goddess is Emergency Pump and was a civilian vehicle. Added by Alan Godfree on 23 August 2009. 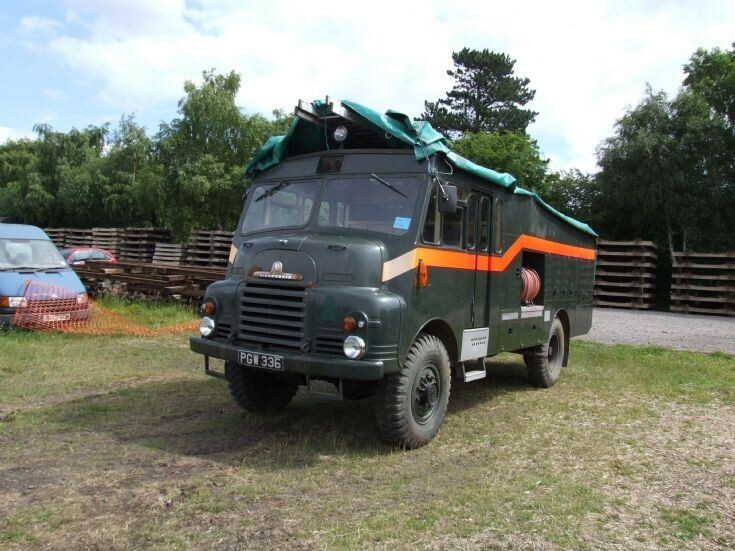 The Green Goddess was originally used by the Auxiliary Fire Service. When this was disbanded, most of the vehicles went into storage. Someone discovered them in the 1970s, and the best were rehabilitated "just in case". This turned out to be the Fire Strike of 1977/78. They were still in the original AFS green.Later some were repainted, or adorned with stripes and safety markings. They were operated by all arms depending on who deployed what and where. I was in the Army, and we were deployed in the North-East of England. Most of these vehicles have now been disposed of. Added by Roger Greenaway on 27 August 2009. Added by Peter Goodall on 01 November 2012.